Looking to make your dog feel extra special this Valentine’s Day? My favorite way to treat my dog on Valentine’s Day is by making her some yummy dog treats. They’re a great (and simple) way to make sure my dog feels included in all the holiday festivities. And since I do this every year I decided to put together a list of my favorite Valentine’s Day dog treats. Before you begin: If you want to make heart shaped treats remember that you’ll need heart shaped cookie cutters, or heart shaped ice trays for the frozen options. If you’re looking for an easy way to treat your dog this Valentine’s Day try making them some homemade dog treats. 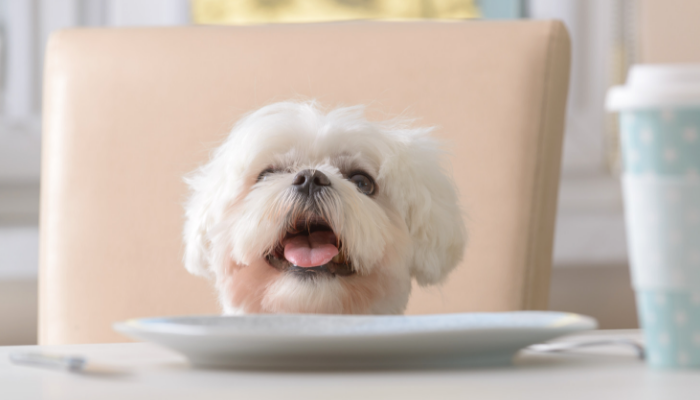 From gluten free dog treats to frozen options, there’s plenty of recipes to choose from. Here’s 15 Valentine’s Day dog treat recipes. 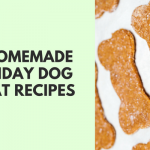 These little grain free dog treats are a favorite of mine because they’re easy to make and super cute. If you want to treat your dog with something special this Valentine’s Day you can’t go wrong with this recipe. If you’re not in the mood for baking give frozen treats a try. This one is simple (yogurt & strawberries) and super cute, and my dog goes bonkers for them. If you’re looking to make something special for your dog this Valentine’s day check out these awesome heart shaped dog cookies. They’re one of my favorites because they’re gluten free and easy to make. These mini cake dog treats are really festive, and my dog Laika absolutely loves (devours) them. If you want to give your dog an extra special treat this Valentine’s Day these mini cakes are a great option. Do you love the combination of strawberry & banana as much as I do? My dog does too, so these adorable treats are always a favorite in my house. As I mentioned above we love strawberry & banana in this house, so when I don’t feel like baking I love making these yummy frozen treats instead. 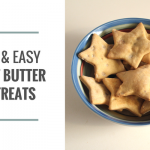 When it comes to making dog treats pumpkin is one of my favorite ingredients to use, and this is one of my go to recipes. These super cute heart shaped dog treats are perfect for Valentine’s Day. These cute little frozen Valentine’s day dog treats are made with coconut oil & diced strawberries. If you’re not in the mood for baking these little treats are a great choice. I love this green smoothie recipe for dogs, and this little frozen heart adaptation makes it the perfect healthy treat for Valentine’s Day. Have I mentioned how much I love strawberries? I love this frozen recipe, and it’s one of Laika’s favorites. These strawberry gummy treats are great way to treat your dog this holiday. These little heart shaped frozen treats made with yogurt, strawberries & banana are a great way to treat your dog with something special this Valentine’s Day. Here’s another yummy frozen option for your dog this holiday — this time with peanut butter and yogurt. I don’t know about your dog, but mine goes nuts for peanut butter. These are definitely a favorite of hers. I don’t know why it took me years to figure out I could make dog-friendly ice cream, but when I discovered this recipe I was hooked. It’s a nice way to treat your dog with something extra special this holiday. These cute little frozen treats look super fancy, but they’re actually pretty easy to make. These frozen treats are one of my favorites to make, and my dog goes nuts for them. These little treats are super cute and festive, and they’re a perfect way to treat your dog on Valentine’s Day. 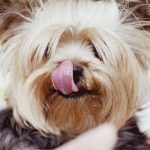 If you’re looking for even more dog treat recipes be sure to check out our list of 25 simple dog treat recipes & 20 frozen dog treat recipes. This post contains affiliate links, if you make a purchase I’ll earn a commission. For more information please see our disclosure page. I really want to make my dog some “puppy love” treats! I know she’ll just love them! Great collection of homemade dog treats. I pinned a few of them. 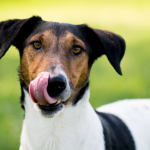 I love using pumpkin, peanut butter, and yogurt in my dog treat recipes. Thanks for sharing! It’s been a long time I didn’t make any special treats for my dog. Thank you for sharing the ideas.